I love Graffiti Alley. Its one of Toronto's coolest spots to photograph. What is also really cool that the art constantly changes, so you may see one thing today and see something completely different a week from now. 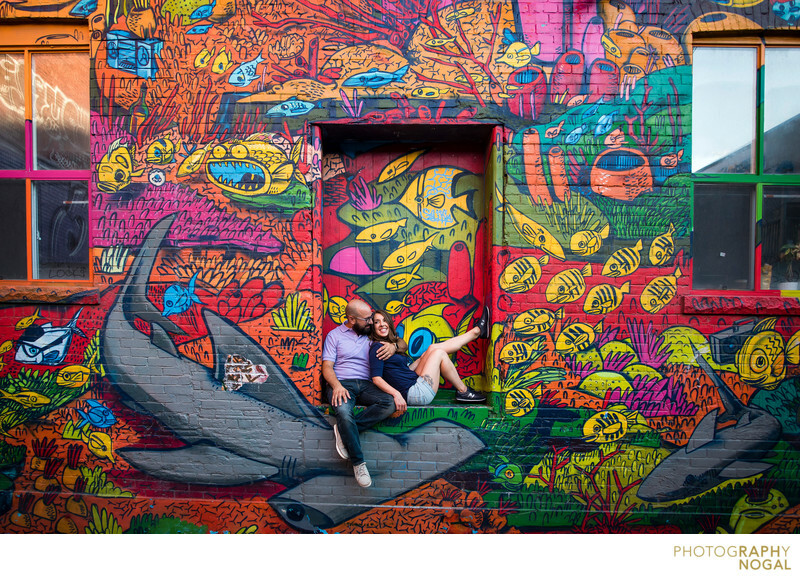 We found this cool little nook on a beautifully painted wall and had the couple snuggle up. This image was taken with the Nikon D750 at 1/500th shutter, aperture f2.5, ISO 200 at 20mm focal length with a 20mm f1.8 Nikkor Lens.